The upcoming Nokia 9 will feature a dual-camera setup as the latest leaks suggested. The device is expected to come in later this year, most likely in September. According to Firstpost, the images of the Nokia 9 came from a smartphone case manufacturer showing the vertically-aligned dual camera on the rear side of the device. This setup is expected to flaunt a 12-megapixel and 13-megapixel sensor. These photos were first spotted with the fingerprint sensor, which might support a heart rate monitor or some other sensor, below the dual-camera setup. Then, the Nokia 9 had an LED flash sitting next to the camera while the front-facing camera is a 5-megapixel sensor. In the images, an 18:9 aspect ratio display with curved edges is seen on the Nokia 9. The bottom and top of the display will be similar to the Samsung Galaxy S8 and Galaxy Note 8, which both have the slightly bigger bezels. Fueling the device will be a 3250 mAh capacity battery with a fast-charging option. 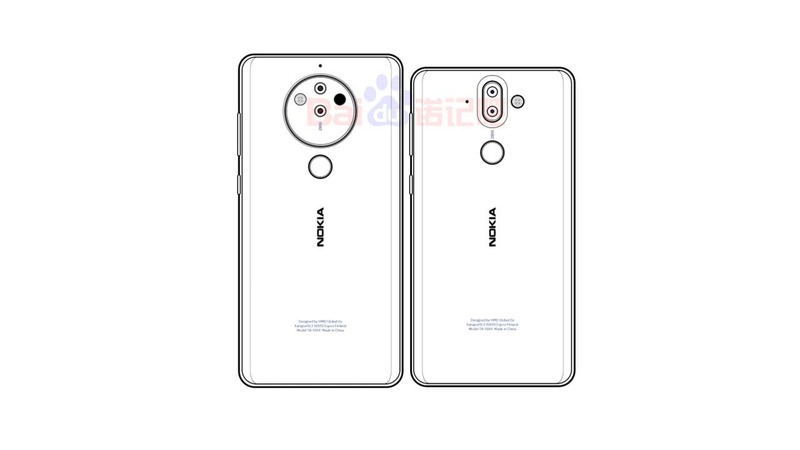 The Nokia 9 was previously reported to sport a Penta-lens camera and spotted on the FCC website with detailed specifications. The listing indicated that the upcoming device will come with a 5.5-inch OLED display running Android 8.0 (Oreo) operating system right out of the box. A report by NokiaPowerUser claims that both the Nokia 8 Pro and the Nokia 9 will be powered by the Snapdragon 845 chipset and paired with at least 4GB of RAM with 12GB of high-speed UFS 2.1-compliant internal storage onboard. The Nokia 9 is the next flagship smartphone to be unveiled after the last year’s launched Nokia 8, which was the first Android-powered premium flagship smartphone from the HMD Global. To recall, the company was the last one to introduce the Nokia 2, which is now in the market and was released in November 2017. So, what are your thoughts on the latest rumors and images about Nokia 9? Let us know by writing in the comment section below.